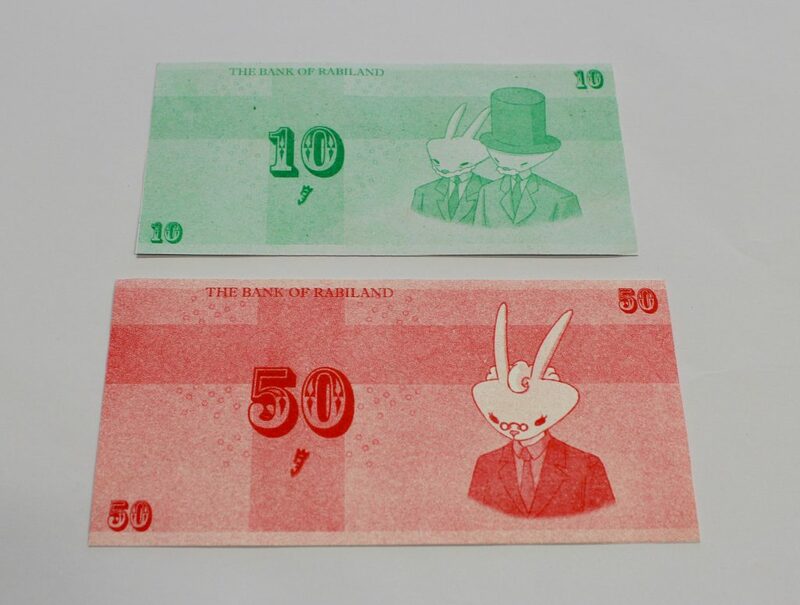 In our third visit to the student Notgeld and its connections with the exhibition, we move into the realms of fantasy. 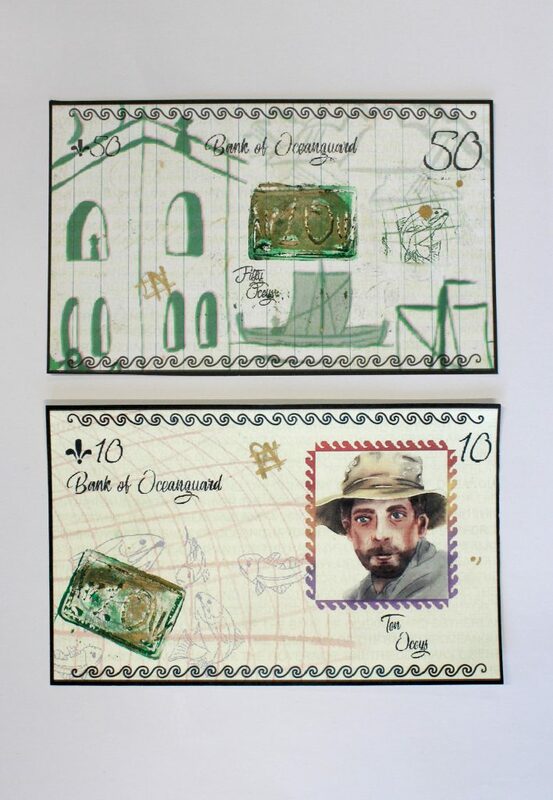 Some of the students realised that while their Notgeld needed a sense of place, they could improve on the world we have, and design for a better one. A place for you to escape from the REAL. 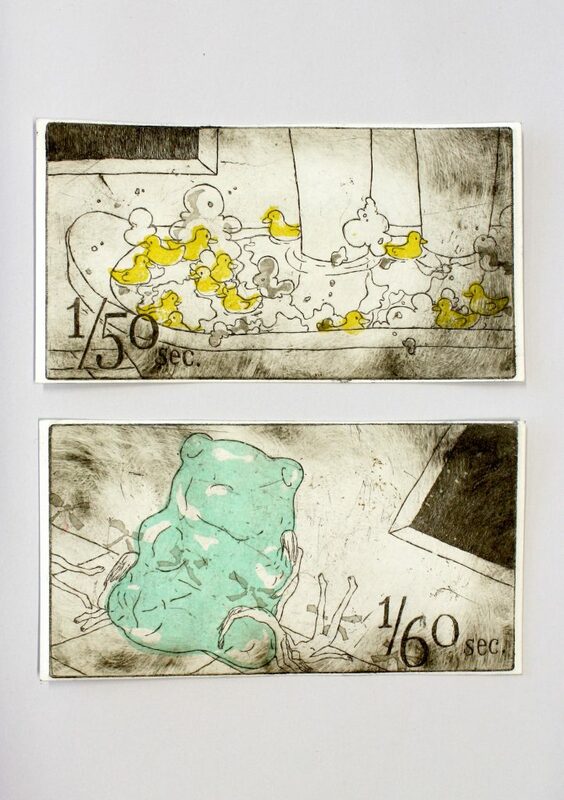 We were particulary impressed with Naomi’s work, as she was the only student to use etching to produce her notes. 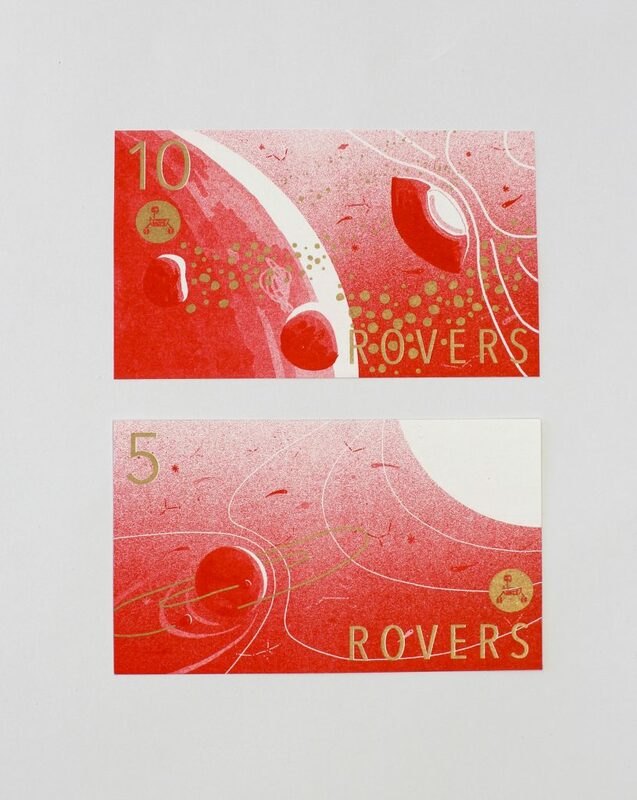 “These banknotes are made for a future when we inhabit Mars and are named after the Mars Rover. Together they narrate the process in which humans made Mars habitable. Zhaoyang Chen invented a world of rabbits. These also explore space: the third note of the set, which is in the exhibition but not illustrated here, shows the rabbits in very natty space suits. 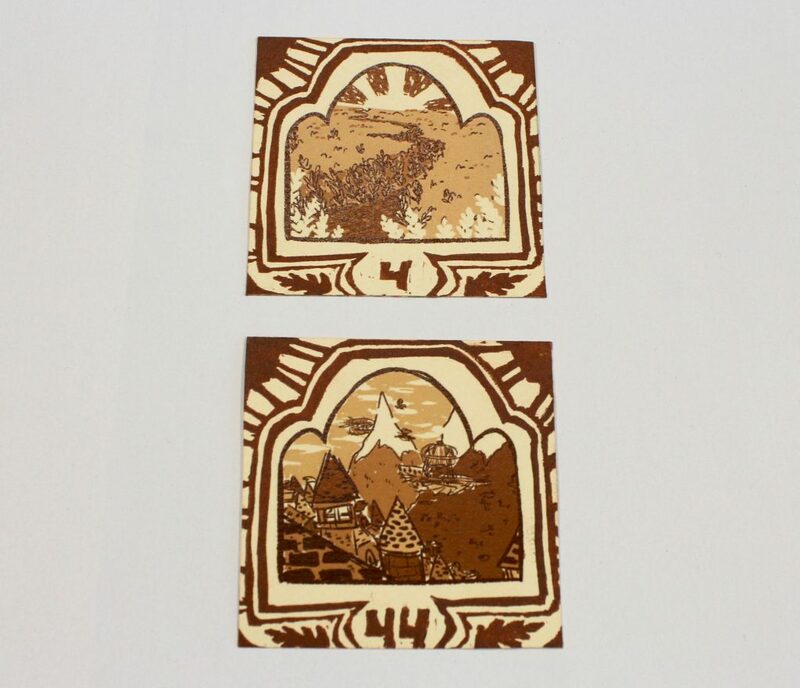 Shannon Law and Valeria Mogilevskaya have both invented imaginary lands. The other exhibits some imagined lands – there are the examples from our collection of American comics, Batman, Spiderman and the irresistably-named “Ms. Tree”, which we cannot reproduce here for copyright reasons. However, we can reproduce a fantasy creature, which would be worthy to inhabit any of the students’ fantasy lands. 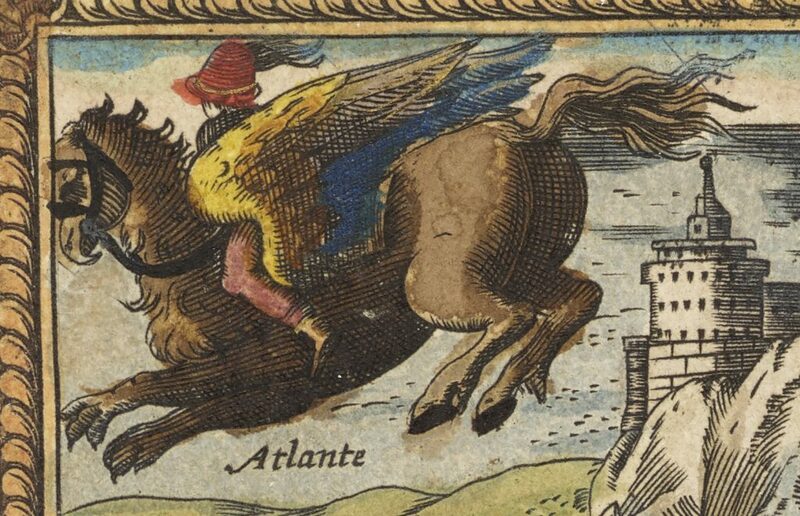 A hippogriff, from Ludovico Ariosto’s Orlando Furioso. 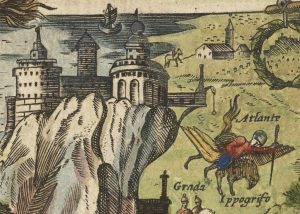 In the story the knight Astolfo travels by hippogriff to Ethiopia (which is clearly off the edge of the page), to seek a cure for Orlando’s madness, brought on by being jilted in love. This entry was posted in Uncategorized and tagged book illustration, Edinburgh College of Art, etching, hippogriff, Illustration, Mars, Notgeld, rabbits, rare books, steampunk, Utopia by elawrence. Bookmark the permalink.